Home / Restaurant Equipment / Commercial Ice Machines / Undercounter Ice Machines / Hoshizaki AM-50BAJ-AD ADA Compliant Compact Top Hat Ice Maker w/ Storage Bin, Air-Cooled, 14.88" W, 55 lb. Hoshizaki AM-50BAJ-AD ADA Compliant Compact Top Hat Ice Maker w/ Storage Bin, Air-Cooled, 14.88" W, 55 lb. 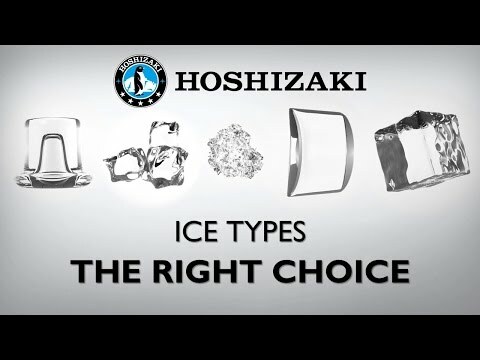 The Hoshizaki AM-50BAJ-AD Compact Top Hat Ice Maker is the perfect addition to any hotel suite, office break room, or kitchen. The AM-50BAJ-DS-AD is capable of producing approximately 55 pounds of Top Hat style ice cubes per day at 70°F / 50°F, and the built-in storage bin will hold up to 22 pounds of ice at a time. The undercounter design is less than 32 inches tall, making it ADA compliant. The Air-cooled design also features a front in, front out airflow system that eliminates the need for side and rear clearance. Perfect for fitting into tight spaces. Drain pump not included. Approved for outdoor use. This product measures at 31-1/2 inches high by 14-7/8 inches wide by 22-5/8 inches deep. 115v/60/1-ph, 3.8 amps, NSF, UL, NEMA 5-15P. Ambient temperature range: 45 100°F. Water temperature range: 45 95°F.